The Victorian Government has announced it will contribute $600,000 towards Hume City Council’s inclusive playspace at Craigieburn Park. Hume Mayor, Councillor Helen Patsikatheodorou, said the pledge was exciting news. “This is a real win for Craigieburn, and the generations of children who will love what is set to be called Livvi’s Place,” Cr Patsikatheodorou said. “The Victorian Government’s pledge will make a big difference as we create an area that can allow children to enjoy the wonders of play, regardless of their background or ability. “Livvi’s Place will help children to gain fantastic skills, as its features enable youngsters to create, problem solve, and be independent. “Hume will situate Livvi’s Place in the middle of Craigieburn Park, where the playspace will be popular for its slides, tunnels, swings, bridges, cubby house, and carousel. “It shall be a place where families can gather and enjoy a wonderful time, thanks to timber seats, BBQs, picnic lawns, and shelter. The new playspace is intended to support one of Australia’s fastest growing suburbs, with Craigieburn’s population expected to jump from 44,000 in 2016 to 65,000 in 2031. More than four per cent of Hume residents aged younger than nine suffer from a disability and require assistance. Hume City Council in conjunction with Aspect Studio’s and Architect’s Peddle Thorp, has designed Livvi’s Place with technical advice provided by the Touched by Olivia Foundation, an organisation founded by John and Justine Perkins after their daughter, Olivia, died from a rare illness. Cr Patsikatheodorou said Hume had asked many people about what they would like to see at Livvi’s Place. 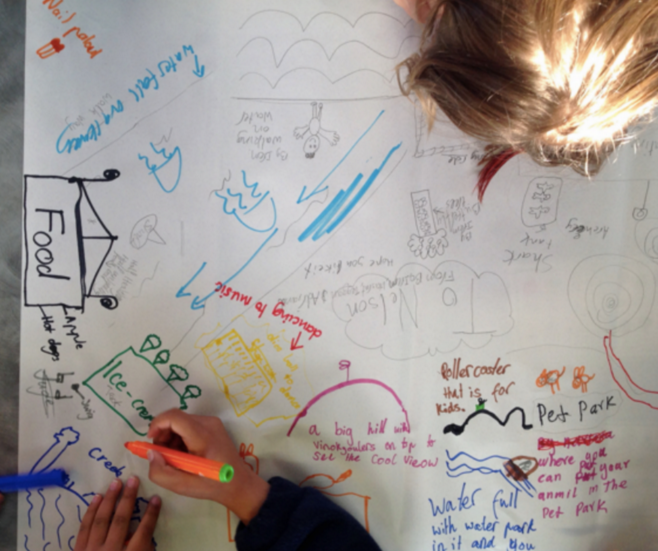 “Our designers spoke with children at schools like Mount Ridley College, Willmot Park Primary School and Aitken Creek Primary School,” she said. “We also consulted with parents of children with disabilities, and people told us that they wanted things like musical elements, crunchy surfaces and fences. Craigieburn Park is to be situated near Craigieburn Central Shopping Centre, in a 12.14 hectare area bounded by Aitken Boulevard, Marathon Boulevard, Windrock Avenue, and Central Park Avenue. The $48.5 million site shall include an aquatic and leisure centre, athletics track, war memorial, lush parklands, and a car park. Cr Patsikatheodorou said the Victorian Government would support Livvi’s Place through the Interface Growth Fund. The northern elements of Craigieburn Park are is expected to open in mid 2016 with the new Cragieburn Regional Aquatic and Leisure Centre opening in 2017. 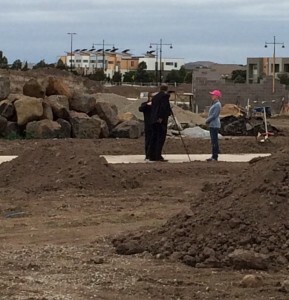 Suzette Hosken (TBO Director) on site at the future Livvi’s Place in Craigieburn.